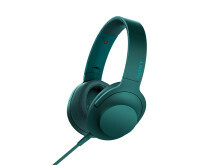 With its new personal audio range, Sony reignites the fire in its audio line-up, bringing you stylish “h.ear” (pronounced hear) headphones and Walkman® with a distinct finish in a vast array of colours that let your match your own style. Revel in your music like never before as Hi-Res Audio brings your favourite tunes closer than ever to the true sound as the artist originally intended. 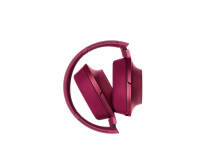 This combination of quality and design elevate both Sony’s new “h.ear on”headband type headphones, “h.ear in NC” Digital Noise Cancelling in-ear headphonesand Walkman NW-A25HN/NW-A27HN to become a true statement of musical style and personality. Whether you portray laid-back elegance or radiant cheerfulness, Sony’s sleek h.ear series and Walkman NW-A25HN/NW-A27HN range are available in deep shades ranging from viridian blue, cinnabar red, charcoal black, lime yellow to bordeaux pink for every type of personality. Focusing on the beauty of simplicity, the headphones feature a single-shape design that emphasise their glossy brilliance. It is this simple expression of style that make these devices not only great sounding devices, but a true expression of character that will cause heads to turn. 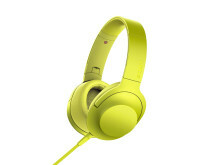 Sony’s “h.ear on” headband typeheadphones ooze style as they combine a bold single finish design with a comfortable fit. Hi-Res Audio compatibility and accurate bass responses are complemented by the 40mm HD driver unit that reproduces sounds of up to 60 kHz, while lightweight CCAW voice coils yield high-linearity responses in high-pitched sounds. Aiming to provide the best sound experience, the diaphragms have been titanium-coated to minimize unwanted vibrations resulting in crystal clear sound. This is the ultimate listening experience. Should you want to take you headphones on the move with you, their foldable mechanism and a detachable, cross-talk reducing cable in matching colour allow for the “h.ear on” to be securely packed in the handy supplied carrying pouch. 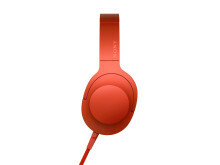 Sony’s “h.ear in NC” is a great example of Sony’s focus on functional design and iconic aesthetics. Thanks to Sony’s newly developed 9mm high sensitivity driver unit, the slim and compact in-ear headphones can reproduce frequencies of up to 40 kHz delivering the sweetest, clearest Hi-Res Audio sounds. 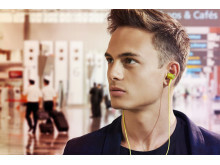 To ensure an immersive musical experience even in the noisiest of places, these compact in-ear headphones feature battery-powered,state of the art dual noise sensor technology - and the Automatic AI NoiseCancelling technologies that filter out any unwanted noise for up to 16 hours, making them the world’s firstdigital noise cancelling Hi-Res Audio compatible in-ear headphones. Should the built-in lithium-ion battery run out of juice you can easily recharge it via microUSB while you continue your sonic adventures – noise cancelling included. Walkman NW-A25HN/NW-A27HN Carrying on the standard set by the Walkman NWZ-A15, new Walkman NW-A25HN/NW-A27HN features everything you have come to expect from a Hi-Res Audio powerhouse plus even more. 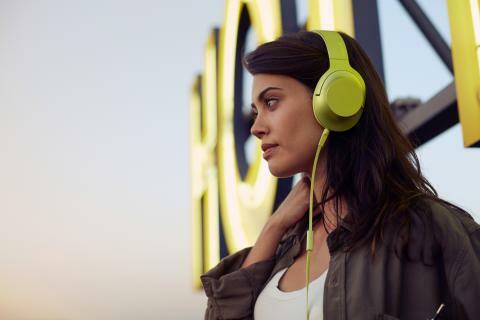 With the dedicated Hi-Res Audio compatible Digital Noise Cancelling headphones made for the Hi-Res Walkman, it means you are left to enjoy your music away from the distractions of the outside. With advancements to Sony’s S-Master HX™ full digital amplifier, music is played with more delicate and dynamic sound than ever before. 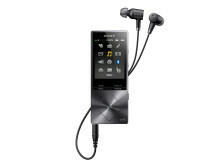 Meanwhile, Sony’s unique upscaling technology DSEE HX™ enhances compressed music files like MP3s making them near-Hi-Res Audio quality. 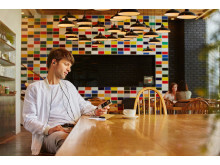 High quality wireless listening is also enabled via LDAC, a new audio technology from Sony that allows you to enjoy high quality wireless audio via Bluetooth®. With 3x more data transmitted, LDAC provides an enhanced wireless listening experience for all your music. Two capacities are available, 16GB (NW-A25HN) and 64GB (NW-A27HN) and with an added microSD card slot for expanded memory it allows you to enjoy even more of your favourite tunes and extensive Hi-Res Audio libraries. 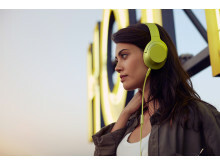 With a 50 hour battery life you can carry on listening without needing to top up with extra charge. Sony’s new range of h.ear headphones and Walkman NW-A25HN/NW-A27HN will be available in Europe from October. About 10 hours of continuous communications is possible after 1 hour charging. Compatible formats Music：FLAC／Apple Lossless(ALAC)／MP3／AAC*1／HE-AAC／WMA*2／Linear PCM(WAV)／AIFF *1: Copyright protected AAC-LC files cannot be played back. *2: Copyright protected WMA files cannot be played back.